Realwood was formed to provide any consumables and hand tools to the Veneering Trade, including spare parts for all the machinery as described in our "Machinery" pages. The menu of pages to the left shows the comprehensive list of consumables that are normally ex stock. If you have trouble in obtaining supplies please call us, we could have your solution. 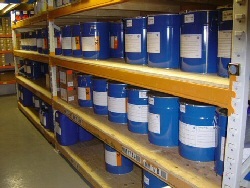 We can supply spares and consumables of many types, for a wide range of manufacturers, including; Wooden dowels, ACMOS release agents, and many others. A recent addition to our stock range is our environmentally friendly gummed paper tape for sealing cartons, cases, and packaging. This can be supplied in a variety of colours and widths and optionally in reinforced versions. For a list of these please use the menu on the left of this page, or see our homepage.